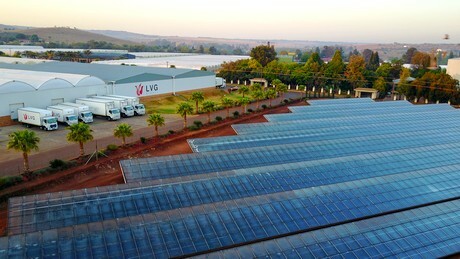 LVG Plants, the company of the Van Geest family, is the largest plant grower in South Africa. The grower has been seeing his business grow in the past years, and so he has been able to invest in sustainable power supply, in new construction, and, next year, in expansion. 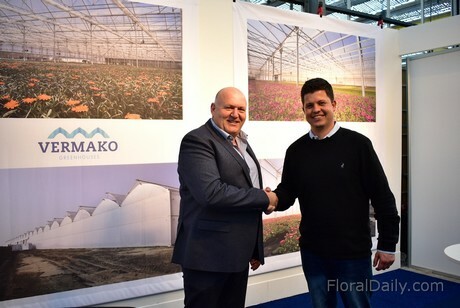 Soon, 5 hectares will be added, with the help of Belgian greenhouse builder Vermako, to get to a 11 hectare greenhouse in the next three years. This expansion is partly intended for production of plant material for the pharmaceutical industry. On October 9 last year, things were looking differently. A tornado - very exceptional, as they normally do not occur here - hit the company and destroyed a large part. Geert van Geest: "All departments were hit, only the part built by Vermako had little damage. We contacted them immediately after the storm, and it was taken care of right away. Since July we are fully operational again." LVG grows a large assortment of tropical plants, bonsai, and orchids. "In the winter, the heating costs a lot of money, and there we invested heavily in solar collectors in 2016." 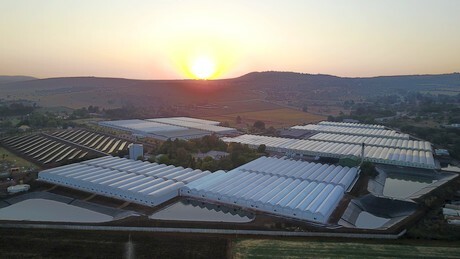 The field, 1 hectare in size and the largest of this type on the southern hemisphere, has been constructed by Bosman van Zaal, and now heats all greenhouses. The grower is a front runner in sustainability, and intends, also in cooperation with Bosman van Zaal, to invest in PV panels, which will provide electricity to the company. On the other hand, it's also important that the grower can properly ventilate during the summer. The Poly Ventilation greenhouse from Vermako, which can be opened on the left and right of the crest rather than the gutter, creating continuous ventilation, is excellent for this purpose, according to Geert. In the greenhouses to be built, according to sales manager Peter Wicke, top construction (gutters - crest profiles) is completely made of aluminium, and the bottom construction (poles and trellis) is galvanized in a heat bath, guaranteeing longevity. Furthermore, the construction is built to withstand a lot. "It is constructed to withstand wind speeds up to 125 km/h. Others have to decide whether this is correct, but the events at LVG prove they are not blown away easily." 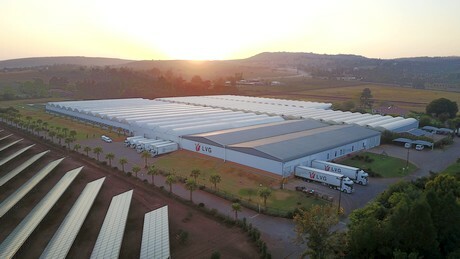 In Africa, Vermako is one of the largest players in foil greenhouses. Besides their showpiece, the largest rose greenhouse in the world, of Sher in Ethiopia, they have customers in Kenya, Rwanda, Tanzania, Zimbabwe, and South Africa.